Draft: 2012, St. Louis Cardinals, 1st rd. Was a two-time All-State selection at Pleasant Grove (TX) High School, leading the team to a state runner-up appearance his junior season while posting a 16-3 record on the mound and first team all-state accolades...Followed it up with a state semi-final appearance his senior year...Received first team academic all-state honors in basketball...Played college baseball at Texas A&M University (2010-12)...Finished with a 27-7 career record at Texas A&M with a 2.53 ERA (348.2 IP) and 336 strikeouts, ranking 4th all-time on the Aggies in strikeouts, T6th in wins and 10th in ERA...Earned the win his sophomore year at #6 Florida State in the Tallahassee Super Regional to send the Aggies to the College World Series...Lost his only start in Omaha to #8 California…defeated Miami-FL as a freshman in the Coral Gables Regional...His brother, Lucas, played linebacker for the Univ. of Wyoming football team…signed with the Dallas Cowboys as a non-drafted free agent in 2017 and played the 2018 season with the Hamilton Tiger-Cats of the Canadian Football League...His sister, Brette, plays on the women's basketball team at Southern Arkansas University...His uncle, Dusty Rogers, played in the Cincinnati Reds organization (1984-88). • Resides in Texarkana, Texas. Made 15 starts in an injury-shortened season, his lowest start total since 2014 (19)...Exited in the 4th inning of his 15th start of the season at PHI (6/20) with a left oblique injury, placing him on the disabled list for the remainder of the 2018 season...At the time of his injury, was ranked T-2nd in the National League in wins and winning percentage, and 10th in ERA...Was 3-0 with a 1.82 ERA on four days rest in six starts, holding the opposition to .214/.271/.310...Opposing left-handed batters hit .217 (34-157) with five doubles and three home runs, while right-handers batted .225 (34-151) with six doubles and six home runs...Was 5-1 at home, T-2nd-most home wins of any Cardinals pitcher and T-3rd highest home winning percentage (.833) of any pitcher with six decisions in the N.L....Posted an eight-game win streak (4/7-6/9), ranked T-2nd longest in the N.L. in 2018...Took a no-hitter into the 9th on 6/3 vs. PIT, before Pirates' pinch-hitter Colin Moran singled to lead off the 9th inning on the 111th pitch (season high)...It was 2nd time in his career to take a no-hitter into the 9th (lost no-hitter with 2 outs in the 9th on 9/24/13 vs. WSH)...Posted his 50th career win vs. PHI (5/19), as the Cardinals used a season-high 15 hits & hit three home runs in a 12-4 win facing Jake Arrieta...Became the 11th-youngest Cardinals pitcher to reach the 50-win milestone (since 1900)...Went 4-0 in April for 2nd time in his career; also in 2015 en route to a 17-7 season. His 14-4 career record in April ranks as the highest winning percentage (.778) of any active pitcher in the month of April (min. 18 decisions)...Recorded strikeout No. 600 (Michael Conforto, swinging) in the 1st inning of his 4/25 start vs. NYM...became the 5th youngest pitcher in Cardinals history to reach milestone...Had 2 sacrifice bunts, 2 runs scored & 1 RBI on 4/25 vs. NYM. Became only the 3rd Cardinals pitcher to post that stat line and first since Kent Bottenfield (8/7/1998 vs. CHI). Matched single-season career-high (2015) with 30 starts (165.2 IP) while reaching double-digit wins (12) for the second time in his career. Also established a career best 158 strikeouts, 2nd-most on the club ... Was one of 12 N.L. pitchers to record a complete game shutout (7/18), scattering three hits, striking out eight and allowing one walk in the 119-pitch (80 strikes) performance vs. the Mets at Citi Field. It marked his 40th career win, first career 9.0 inning effort and first professional shutout (last was in college at Texas A&M, 4/13/12 at Kansas) ... His 7/18 shutout was the Cardinals first complete game shutout on the road since Shelby Miller at Toronto (6/7/14) ... Was one of six N.L. pitchers to record at least two scoreless starts of at least 8.0 innings: 9/10 vs. PIT (8.0 IP) & 7/18 at NYM (9.0 IP). Carlos Martinez led with three ... Pitched at least 6.0 frames in 18 outings with 15 quality starts (STL was 12-6): 11-3, 2.61 ERA (113.2 IP) 102 strikeouts ... Allowed only 17 home runs, ranking 3rd-fewest among National League pitchers with 0.92 HR/9 IP ... His career-high 48.6 ground ball percentage ranked 9th among National League pitchers. Induced 18 ground ball double plays and ranked 7th in the N.L. in GIDP/9.0 (0.98) ... Sported the 9th-lowest ERA (1.95) in team wins (12-0, 15 starts) among N.L. starting pitchers, but had the 7th-highest ERA (6.87) in losses (0-9, 15 starts) ... Limited the oppostion to a .248 average (34-for-137) with runners in scoring position, 16th-lowest in the N.L ... Recorded career-best 1.20 ERA (30.0 IP/4 ER) and .200 Opp. AVG (22-110) in the first inning (T1st among qualified NL starting pitchers with Colorado's Tyler Anderson). Recorded a 4.64 ERA afterwards (135.2 IP/70 ER) ... Had more success at home, ranking T7th among National League pitchers in wins (8) and 14th in ERA (3.41) ... Was one of 12 qualifying N.L. pitchers to record a perfect 1.000 fielding percentage (33 total chances) ... Opposing basestealers were successful on 14 of 17 attempts (.824) while on the mound, 6th-highest success rate among qualified N.L. pitchers ... Opened season pitching at least 6.0 innings in initial seven starts (4/8-5/19): 2-1, 2.74 ERA, 39 strikeouts, five quality starts ... Collected a win in his 2017 season debut vs. CIN (4/8), allowing one run on three hits with six strikeouts over 6.0 IP, a 10-4 Cardinals win ... Excelled over an eight-start stretch from 6/21-8/8, going 6-1 with a 2.39 ERA (52.2 IP) ... Matched a career high by winning four straight starts (6/26- 7/18): 1.01 ERA, 26.2 IP, 3 ER, 31 strikeouts, 5 walks ... Ranked among N.L. 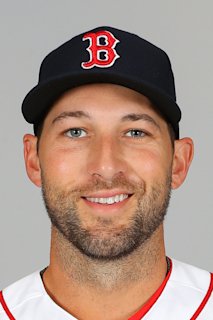 leaders in July wins (4, T1st), WHIP (0.83, 2nd), average against (.186, 4th), ERA (1.93, 6th), and strikeouts (37, T6th) ... Hurled a 2-1 win vs. WSH (7/1) on his 26th birthday, becoming the 21st Cardinals starting pitcher to win on their birthday. Pitched 6.0 shutout innings, striking out 9 with 4 hits and one walk ... Fanned Washington's Ryan Zimmerman looking for his 500th career strikeout (7/1). Tied Steve Carlton (106 career games) as the 2nd-fastest Cardinals pitcher to 500 career strikeouts behind Lance Lynn (101 career games) ... Struck out 8 or more batters in three consecutive starts (7/1- 7/18) for the first time in his career...he and Carlos Martínez (5) were the only Cardinals with three straight games of 8 or more strikeouts ... Pitched 8.0 scoreless frames (third time in career) in St. Louis' 7-0 win vs. PIT (9/10)...scattered five hits and only one Pirate reached second base. He also added a sacrifice fly - the first of his career. Made 27 appearances (24 starts) over an injury-shortened season...Was the starting pitcher for the Cardinals Home Opening Day game vs. MIL (4/11) firing 6.0 scoreless innings in a win...Pitched at least 6.0 innings in 14 of 24 starts, with 13 quality starts (5-5, 2.97 ERA). St. Louis was 14-10 in his starts...Threw a season-high 8.0 innings vs. PHI (5/3), allowing one run on a solo home run to Ryan Howard in a 1-0 loss...Took a loss in two starts in which he allowed only one run on a solo home run: 5/3 vs. PHI & 6/17 vs. TEX (R. Odor)...Struck out a season-high nine batters at ARI (4/28), a seven-inning performance allowing three runs in a 3-0 loss...Led Major League pitchers with a 1.37 putout per 9.0 IP ratio. Recorded 21 putouts in 138.0 innings pitched, finishing T3rd among MLB pitchers in putouts (21)...Earned the win in start at SD (4/23), his second career start in which did not strike out a batter (Last: at TB, 6/11/14)...Allowed 20 runs over a three-start (12.0 IP) period (5/13-5/24). Became the first Cardinals pitcher since Mike Maroth to allow six or more runs in three consecutive starts (7/14-8/1/2007)...Suffered a career-high seven-game losing streak (4/28-6/17) over 10 starts (5 quality), with a 5.22 ERA (34 ER/58.2 IP)...Snapped his career-long losing streak with his first win since 4/23 in his start at CHI (6/22), a 7-2 win to complete a threegame sweep of the Cubs. Threw 6.2 innings allowing two runs on three hits...Won his last five decisions dating back to 6/22, tied for team-leading win streak, finished the season T3rd-longest active...Missed 32 games after being placed on the 15-day disabled list with right shoulder inflammation (8/9); activated on 9/14...Made three September relief outings after being activated from the D.L. (15.88 ERA, 5.2 IP, 10 ER, 4 K)...Surrendered seven runs on nine hits over 2.2 innings in relief vs. CIN (9/26), the most runs and hits allowed in relief by a Cardinals pitcher since Jake Westbook allowed nine runs on 13 hits over 4.2 IP vs. LAD (8/7/13). Made a career-high 30 starts in 2015 (previous high was 19). Became the 21st different Cardinals pitcher (28th instance) to start 30 or more game at age 24 or under…Led all Cardinals pitchers and ranked 5th in the National League with 17 wins…Ranked among National League leaders in wins (17, 5th), winning percentage (.708, 3rd), ERA (3.38, T16th), opponent BA (.236, 9th) and WHIP (1.21, 17th)…Led all N.L. pitchers with a 5.96 run support average. Posted a 16-0 record (Cardinals 17-1) when he received 3 runs of support or more…Established career highs in wins (17), starts (30), appearances (30), innings pitched (181.1) and strikeouts (153)…One of 15 pitchers in Cardinals history, 24 or younger, with 17 wins in a season, and first since Joe Magrane (18) in 1989…Was a manager's selection to the National League All-Star team, his first selection. Did not appear in the game…Started the season 7-0 with the Cardinals winning his first nine starts…Ranked T2nd in the N.L. with 10 road wins (Jake Arrieta, 13), becoming the 46th Cardinals pitcher with 10 or more road wins and the first Cards pitcher with 10 road wins under age 25 since Lynn McGlothen (1974).. Did not allow more than two earned runs in six starts from July 27-Aug. 28, posting a 4-0 record with an 0.92 ERA (2nd in MLB during span)…Was 3-0 with a 1.13 ERA over five August starts (32.0 IP/4 ER) ranking 3rd in the N.L. in August ERA; Is a career 4-0 with a 1.70 ERA in six career Aug. starts (12 app.) with 51 strikeouts in 47.2 innings…Was the first Cardinals starter since Chirs Carpenter (12-0) & Matt Morris (8-0) in 2005 to start a season 6-0 on the road…Earned his 25th career win (16th in 2015) at CIN (9/13), allowing two runs on three hits in a 9-2 Cardinals victory…Posted a season-high, and matched his career high, with 10 strikeouts in a 4-3 loss at COL (6/9)…Earned four milestone wins on the road: Career win No. 25 at CIN (9/13), No. 20 at CWS (7/21), No. 15 at NYM (5/19) and No.10 at CIN (4/11)…Tied for the Cardinals lead among pitchers with eight hits and four RBI. Recorded his first career stolen base at SD (8/23)…Skipped a turn in the rotation between starts 8/28 at SF and 9/8 vs. CHI and took the loss (8-5) after tying a career-high allowing six runs on six hits in 4.0 innings, including two home runs accounting for five of the runs…Had a 7.88 ERA over five starts in September, and a 6.86 ERA in nine September starts the past two seasons after posting a 1.72 ERA in September 2013…Known for his starts involving weather delays. He had eight weather-related delays in games that he started in 2015, totaling 7 hours, 15 minutes. Began the season on Opening Day roster for the first time & made a single-season high 19 starts in injury-shortened season...Was placed on the disabled list after 15 starts on June 23 (retroactive to June 18) with right shoulder stress reaction and missed 68 games. Activated from the 60-day D.L. on September 4 and made four more starts...Pitched 6.0+ innings in 12 of his 19 starts, and four of his starts went into extra innings with three lasting 12 innings...At the time he was placed on the D.L., ranked 12th in NL in ERA (2.79) & 6th in opp. BA (.222)...Was 5-0 with a 2.44 ERA in nine starts (55.0 IP) at Busch Stadium in 2014. Eight of the nine starts were quality starts...Was winless on the road, going 0-6, 4.01 in 2014 and has a 2-6, 4.09 ERA career mark on the road...Endured six weather delays totaling 6-hours 30-minutes during his 2014 starts...Made four starts in September after returning from D.L., going 0-1 with a 5.40 over 16.2 innings with 11 strikeouts...Earned the win in St. Louis' home opener on 4/7 vs. CIN. Allowed the Reds one run over 6.0 IP on 7 hits, as STL won 5-3...Struck out a career-high 10 batters at NYM (4/23) including the first nine batters of the game, becoming just the 4th Cardinal (Gibson, Carlton, Vuckovich) to strike out 10 batters in 4.0 IP and the first since Pete Vuckovich (6/3/79 vs. LAD)...Had not allowed more than 3 runs in any of his first 13 starts, prior to his 6/11 start. The last pitcher to allow 3 runs or less in 13 or more consecutive starts to begin a season was Pirates' James McDonald in 2012 (14 straight starts)...Threw 2.0 scoreless innings in a Texas League (AA) rehab start with Springfield vs. Tulsa on 8/31. Pitched to catcher Tony Cruz and allowed one hit, hurling 34 pitches (24 strikes)...Received a no decision in his final start of 2014 at ARI (9/26), tossing 5.0+ innings allowing two runs on five hits and retired 10 straight batters (10-of-last-11), in a game Cardinals won 7-6 in 10 innings...Was on the postseason roster for both the National League Division Series and N.L. Championship Series...did not make an appearance in the Division Series...was used once out of the bullpen in the NLCS and surrendered the series-ending three-run home run to Travis Ishikawa in the bottom of the 9th inning in Game 5 at SF (10/16)...it was his first game action since Sept. 26 at ARI (20 days). The rookie pitcher made nine starts for St. Louis and appeared in 15 games in his 2nd season in pro ball... Was purchased on 5/30 and made his Major League debut that night vs. KC. Did not get a decision in a game that featured 5:32 in rain delays. Allowed just one run on two hits in 7.0 IP with six strikeouts... In his final regular season start vs. WSH (9/24), threw 8.2 innings of no-hit ball, before allowing an infield single to Ryan Zimmerman. Walked two and struck out a season high nine batters in the win (2-0)... Went 2-1, 2.15 ERA in 10 appearances at home (6 starts) and 2-0, 4.34 in five road games (3 starts)... Record was 2-1, 2.65 ERA in six home starts and 1-0, 3.24 ERA in three road starts... Had a 23.2 IP scoreless streak from 8/22-9/14, spanning six outings (3 starts, 3 relief apps. ), 2nd longest on team in 2013... Recorded 65 strikeouts in 64.1 Major League innings... Became the third Cardinals pitcher to make his Major League debut in a start during 2013 season, joining left-handed pitchers John Gast and Tyler Lyons... Became the fastest Cardinal pitcher to debut following his draft since Chris Carpenter (drafted in 1987 and debuted 5/14/88)... After purchase on 5/30 stayed with the big league club until an option to Memphis on 6/13. Was then recalled twice more (8/10-29 and 9/3-end of season)... Earned his 1st MLB win 6/11 at NYM, 9-2; allowed two runs in 6.0 IP... Struck out seven batters over 4.0 innings of relief vs. CIN (8/28)... Posted a 9-2 win vs. PIT on 9/8, working 7.0 scoreless innings to extend his shutout streak to 19.2 IP...had a two-RBI single in 5th inning of that win... Began the season at Memphis (AAA) and was 5-3, 2.65 ERA in 15 starts. Walked just 19 and had 73 K's (3.8 K/BB ratio)... Threw seven quality starts and yielded three runs or less in 14 of 15 starts at Memphis... Earned first professional win at Oklahoma City (4/13), tossing 5.0 IP allowing two runs... Was 3-0 with a 1.86 ERA in five April starts covering 29.0 innings... Struck out a season-high nine batters over 5.1 innings in a loss at Iowa (7/2)... Made five postseason starts posting a 4-1 record with a 2.64 ERA, not losing until Game 6 of the World Series...became the 11th rookie pitcher to start a postseason game for the Cardinals...set the MLB rookie postseason record with 33 strikeouts...the 33 strikeouts in a single postseason ranks 3rd in Cardinals history behind Bob Gibson (35, 1968) and Adam Wainwright (34, 2013)...became the first American-born rookie pitcher to win four games in a single postseason...his four wins in a single postseason makes him one of 18 instances in MLB history, tying teammate Chris Carpenter (2011) as the only two Cardinals pitchers to win four games in a single postseason...his 30.2 innings ranks him second all-time for innings by a rookie pitcher in the postseason (Valenzuela, 40.2, 1981)...threw 7.1 no-hit innings in his postseason debut at PIT (10/7) before Pedro Alvarez hit a solo home run to break up the no-hitter and shutout, but earned the critical Game 4 NLDS win while striking out a career-high nine...struck out eight in Game 2 of NLCS vs. LA (10/12), scattering five hits over 6.2 innings for the win...threw 7.0 scoreless innings of two-hit ball in NLCS Game 6 vs. LA (10/18) to clinch N.L. pennant...earned his first World Series win in Game 2 at BOS (10/24), tossing 6.0 innings and allowing two runs on three hits with six strikeouts...his loss in Game 6 of World Series was his shortest start of the season (3.2 IP), regular or postseason. Made professional debut on July 11 at the Gulf Coast League (SS-R) level and ascended to Springfield (AA) by August 19...appeared in 11 games over the three levels, totaling 21.0 innings and striking out 40 batters for an outstanding 17.1 strikeouts/9 IP ratio. Tallied a 10:1 strikeout to walk ratio...struck out three or more batters in 10 of 11 relief appearances...oppposing batters hit .158 (3-19) with one RBI and seven strikeouts with runners on base...appeared in three games at Gulf Coast League. Struck out three batters in 2.0 IP in pro debut vs. GCL Astros (7/11)...was promoted to Palm Beach on 7/30 and struck out five batters over 2.0 IP in his first appearance. Completed his stay in the Florida State League with 16 strikeouts over 8.0 innings in four appearances, allowing just one hit to 26 total batters faced...made the jump to Springfield on 8/19 and finished the season with the Texas League Champions...struck out 17 batters over 8.0 innings in Springfield, allowing one run on three hits...fanned six batters over 3.0 innings in his Double-A debut vs. Corpus Christi (8/19)... made two appearances in the Texas League playoffs and struck out five batters over 2.0 scoreless innings, permitting just two hits...rated as the sixth-best prospect in the Cardinals organization by Baseball America. Rated as the "Best Change Up" in the Cardinals organization by Baseball America's "Best Tools" survey. November 1, 2018 St. Louis Cardinals activated RHP Michael Wacha from the 60-day injured list. September 10, 2018 St. Louis Cardinals transferred RHP Michael Wacha from the 10-day disabled list to the 60-day disabled list. Left oblique strain. September 7, 2018 St. Louis Cardinals sent RHP Michael Wacha on a rehab assignment to Memphis Redbirds. August 28, 2018 St. Louis Cardinals sent RHP Michael Wacha on a rehab assignment to Springfield Cardinals. August 18, 2018 St. Louis Cardinals sent RHP Michael Wacha on a rehab assignment to Palm Beach Cardinals. June 21, 2018 St. Louis Cardinals placed RHP Michael Wacha on the 10-day disabled list. Left oblique strain. September 14, 2016 St. Louis Cardinals activated RHP Michael Wacha from the 15-day disabled list. August 9, 2016 St. Louis Cardinals placed RHP Michael Wacha on the 15-day disabled list. Right shoulder inflammation. September 4, 2014 St. Louis Cardinals activated RHP Michael Wacha from the 60-day disabled list. August 31, 2014 St. Louis Cardinals sent RHP Michael Wacha on a rehab assignment to Springfield Cardinals. July 30, 2014 St. Louis Cardinals transferred RHP Michael Wacha from the 15-day disabled list to the 60-day disabled list. Stress reaction in right shoulder. June 22, 2014 St. Louis Cardinals placed RHP Michael Wacha on the 15-day disabled list retroactive to June 18, 2014. Stress reaction in right shoulder. September 3, 2013 St. Louis Cardinals recalled RHP Michael Wacha from Springfield Cardinals. August 29, 2013 St. Louis Cardinals optioned Michael Wacha to Springfield Cardinals. August 10, 2013 St. Louis Cardinals recalled Michael Wacha from Memphis Redbirds. June 14, 2013 St. Louis Cardinals optioned Michael Wacha to Memphis Redbirds. May 30, 2013 St. Louis Cardinals selected the contract of Michael Wacha from Memphis Redbirds. April 1, 2013 Michael Wacha assigned to Memphis Redbirds from Springfield Cardinals. January 28, 2013 St. Louis Cardinals invited non-roster RHP Michael Wacha to spring training. August 18, 2012 Michael Wacha assigned to Springfield Cardinals from Palm Beach Cardinals. July 30, 2012 Michael Wacha assigned to Palm Beach Cardinals from GCL Cardinals. June 19, 2012 Michael Wacha assigned to GCL Cardinals. June 14, 2012 St. Louis Cardinals signed RHP Michael Wacha.